Elephant Tree Publishing, a new addition to Australia’s somewhat beleaguered publishing industry, has put out the call for more crime – and lots of it. Mother and daughter team Dr Kathryn Spurling and Jennifer Brown-Leslie decided to launch Elephant Tree Publishing and Missing Pages Books because they were inspired by the expressive stories from popular contemporary Australian authors, Liane Moriarty, Jane Harper, Margo Lanagan, and Kerry Greenwood. “We would like to offer authors, particularly but not exclusively women authors, the opportunity to submit fiction and non-fiction manuscripts for publication,” said Kathryn, herself an author of seven non-fiction titles. Jennifer said their publishing house was aiming to publish up to 10 books a year depending on submissions. “We also want to showcase the large talent pool of independent designers and printers we have here in Australia,” she said. 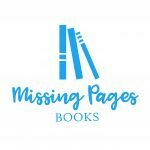 Missing Pages Books previously published Inspiring Australian Women. The mother-daughter team have been impressed with the quality of manuscripts they have already received since founding their company in late March. “We have been sent some exciting work and in an ideal world, we would love to publish them all. The books we are working on currently include a young adult book exploring ethereal spirits, a military/political thriller set in Canberra, and a contemporary family relationship piece set in the Australian outback in the 1960s,” Jennifer said. Screen adaptation of their novels is also on their wish list. Their first book, Fire at Sea: HMAS Westralia 1998 was recently launched by the ACT Attorney General on 23 April at the Australian War Memorial.